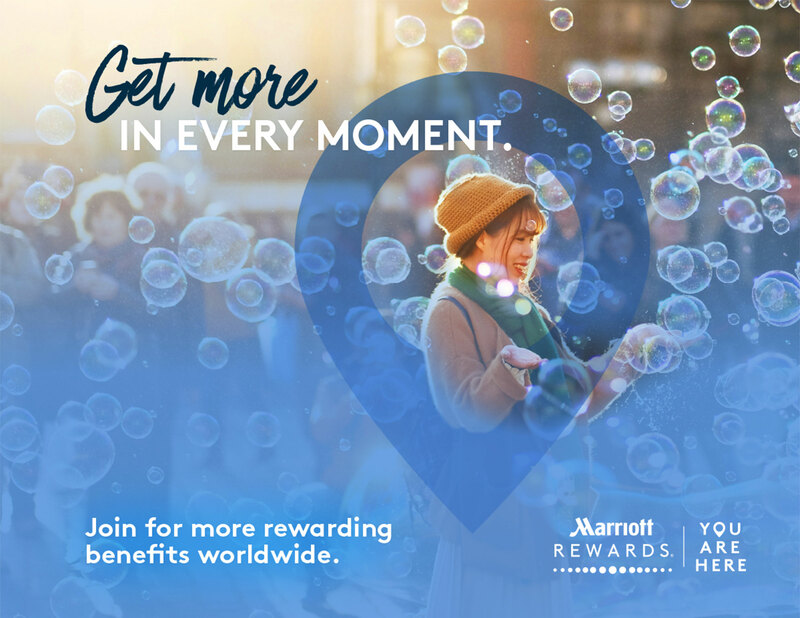 With 18 brands and over 4,700 hotels and resorts worldwide, Marriott Rewards was already the largest travel loyalty program in the world. 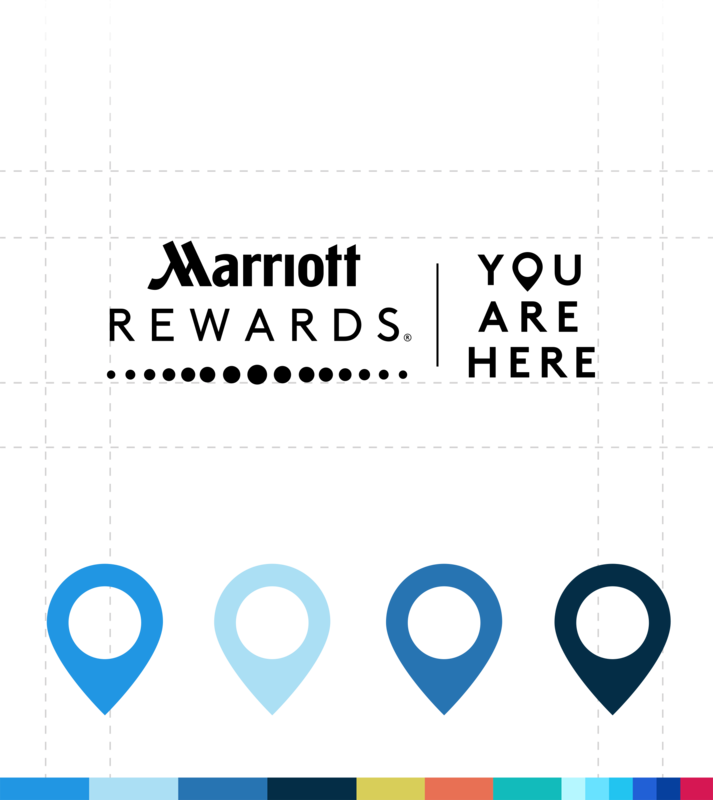 Our client asked us to take an existing theme (“You Are Here”) and graphic (a pinpoint icon), and use them to help make the loyalty brand stand for something bigger than banking points and earning free stays. And that “something bigger” needed to appeal to an expanding audience on an endless quest for memorable travel experiences. Now as the Marriott Rewards® and SPG® programs merge, we’re creating communications for the millions of members across both programs. The Lacek Group developed a unique brand voice that drove all messaging and copy for loyalty communications and invited members to create unforgettable travel moments, deepening the bond between Marriott Rewards and its millions of members. The voice also drove a new visual language for the brand – including that iconic pinpoint graphic, brilliant color palette, updated type and a bold new photographic style that evoked inspiring travel moments and encouraged members to not only travel more, but to travel more deeply and meaningfully. Travel and photography are inextricably linked. After all, there's nothing more enticing to members than images of alluring destinations that beckon them to create their own unforgettable travel moments. The Lacek Group curated an extensive set of inspiring imagery that, paired with a new tone of voice, enticed program members to earn Marriott Rewards with every journey – and to use their reward points to harvest even more moments in turn. 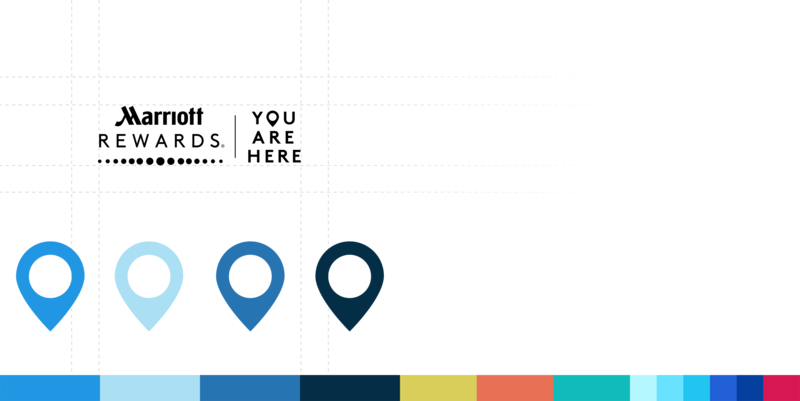 The “You Are Here” loyalty campaign engaged members across numerous channels — social media, email, experiential and direct mail, as well as digital and print advertising. In addition, The Lacek Group helped design the Marriott Rewards shopping portal (called Marriott Rewards MORE™) and Marriott Rewards Moments, which offers members exotic, once-in-a-lifetime travel experiences. Our involvement with Marriott Rewards went well beyond launching the new “You Are Here” brand look-and-feel. We also developed numerous, highly successful tactical promotion campaigns for programs such as the “Infinite Points” MegaBonus®, which drove bookings while continuing to build the Marriott brand.